Another Great Home Sold by Premiere Team Real Estate - Beautiful, remodeled 3 Bed/2 Bath home in Wells Branch. Features include vaulted ceilings, wood laminate floors, a cozy fireplace, and beautiful views from all rooms. Tall windows let lots of natural light into the open kitchen and living area. The converted garage makes an excellent game/tv/family room. Remodeled master suite features backyard access, double vanity with granite counters, walk in shower, and walk in closet w/custom shelving. New Gas Heater and New Energy Efficient AC. 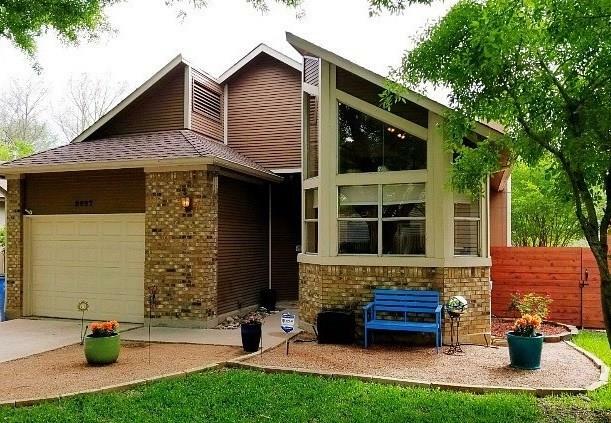 The beautifully landscaped backyard features a covered patio w/trellis, and the privacy fence w/partial wrought iron provides a wonderful, unobstructed view of the greenbelt. Incredible neighborhood amenities and activities, with direct access to the community pool, hike/bike trails, sports fields, picnic areas and playgrounds of Katherine Fleischer Park. Minutes from I-35, Mopac, and the Domain. Another great home for sale in Wells Branch, Austin, Texas.